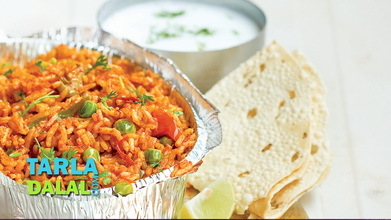 A rice delight that is loaded with veggies and flavoured subtly with a fine choice of spices, the Vegetable Pulao is one dish that is famous all over the world. Within India too, it is so popular that there are umpteen versions, ranging from mild to spicy, and it is available in even tiny restaurants and roadside eateries! 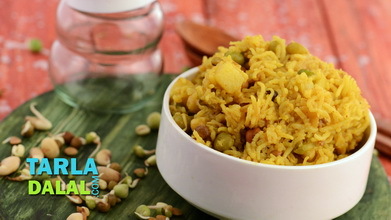 This recipe of Vegetable Pulao is easy and quick to make, but very tasty, with the added flavours of ginger, green chillies and garam masala. 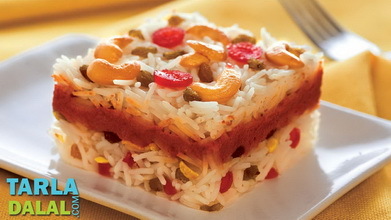 Prepare it as close to serving time as possible so that the flavours are fresh and strong. 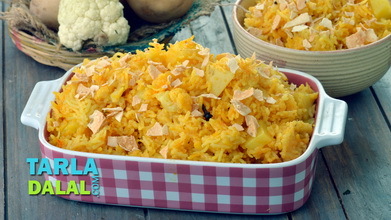 To make vegetable pulao, soak the rice in enough water for 30 minutes, drain well and keep aside. Heat the oil in a pressure cooker, add the onions, bayleaf, cinnamon and cloves and sauté on a medium flame for 1 minute. 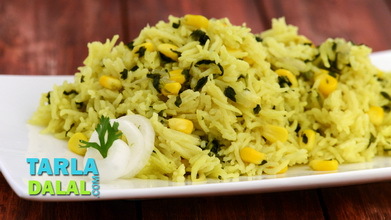 Add the soaked rice and mixed vegetables, mix well and cook on a medium flame for 1 minute, while stirring continuously. 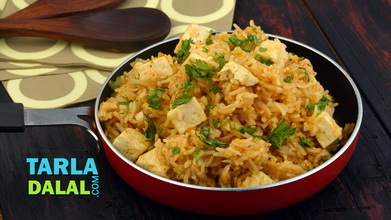 Add the green chillies, ginger, garam masala, 2½ cups of hot water and salt, mix well and pressure cook for 2 whistles. 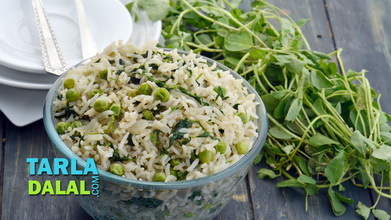 Serve the vegetable pulao hot garnished with coriander.